This content is provided by Volker Glas. 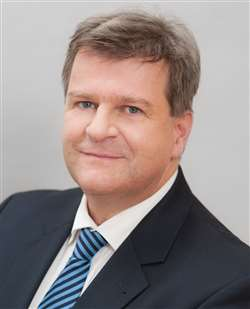 Volker Glas is partner at Cerha Hempel Spiegelfeld Hlawati since 1999 and specializes in capital markets and banking finance transactions. Volker and his team represent issuers and underwriters in debt and equity capital markets transactions, and corporate borrowers and Austrian and international banks in syndicated loans, acquisition and project financings, and structured finance transactions. In 2018/19, Volker and his team advised e.g. IMMOFINANZ AG in its debut EUR 500 million investment grade bond issue, Fosun International Holdings on the takeover of the textile group Wolford AG (including a capital increase) and CA Immo in a EUR 150 million 1.875% senior bond issue. In bank financing, they advised e.g. RHI Magnesita in a refinancing of its EUR 100 million debenture bond (Schuldscheindarlehen) and a EUR 600 million syndicated loan, and a U.S. collateral trust in the reorganization/restructuring of Toys“R”Us group involving a buy-out of the European assets, or the lenders in a EUR 220 million refinancing of a high-grade copper producer including a warehouse pledge as part of the security package.